Batman takes the fight to The Court Of Owls! Discover the evil mastermind behind The Court. 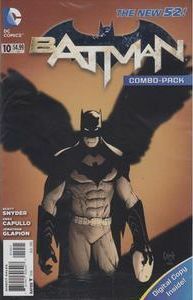 Plus: The 'Fall of the House of Wayne' backup by Scott Snyder, James Tynion IV and Rafael Albuquerque.